With direct access to the beach, this Bournemouth City Centre hotel is in the city centre and within a 10-minute walk of Oceanarium, Bournemouth International Centre and Bournemouth Beach. Bournemouth Lower Gardens and Bournemouth Pavillion Theatre are also within 15 minutes. Located in Bournemouth City Centre, this hotel is within a 10-minute walk of Bournemouth Lower Gardens and Bournemouth International Centre. Bournemouth Beach and Bournemouth Pavillion Theatre are also within 15 minutes. Bournemouth Station is 28 minutes by foot. 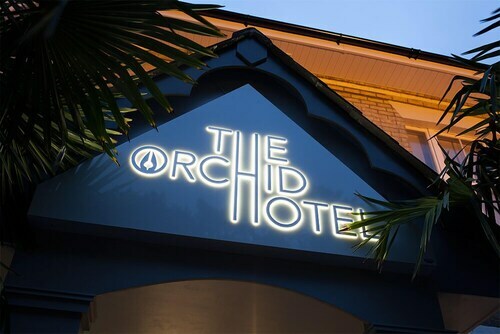 Located in Bournemouth City Centre, this spa hotel is steps away from The Square and Bournemouth Lower Gardens. Bournemouth International Centre and Bournemouth Beach are also within 10 minutes. Bournemouth Station is 27 minutes by foot. 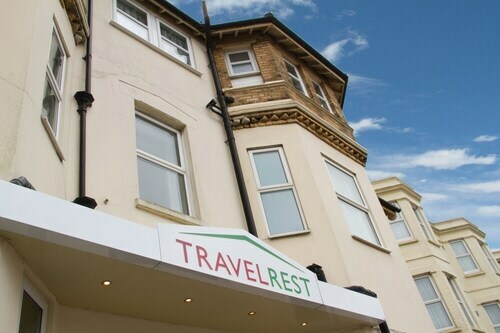 Located in Bournemouth City Centre, this hotel is within a 15-minute walk of Russell-Cotes Art Gallery and Museum, Bournemouth Beach and Bournemouth Pavillion Theatre. Bournemouth International Centre and Bournemouth Lower Gardens are also within 1 mile (2 km). Bournemouth Station is 12 minutes by foot. 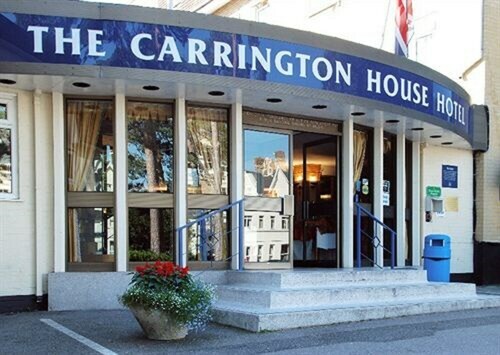 Situated near the beach, this hotel is within a 15-minute walk of The Square and Bournemouth Lower Gardens. Bournemouth Beach and Bournemouth International Centre are also within 1 mile (2 km). 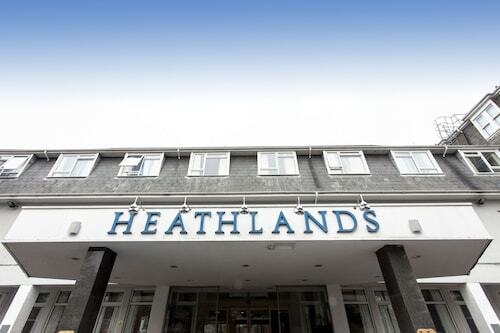 Located in Bournemouth City Centre, this hotel is within a 10-minute walk of Bournemouth International Centre, Bournemouth Beach and Bournemouth Lower Gardens. Bournemouth Pavillion Theatre and O2 Academy Bournemouth are also within 3 miles (5 km). 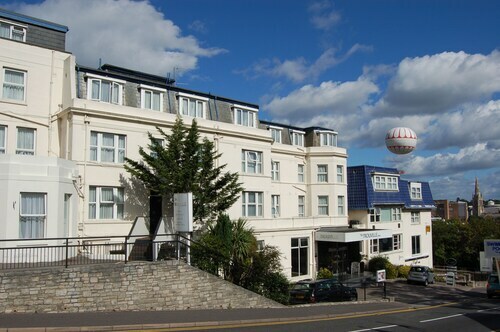 Situated near the beach, this hotel is within a 15-minute walk of Knyveton Gardens and O2 Academy Bournemouth. Bournemouth Beach and Bournemouth International Centre are also within 2 miles (3 km). Bournemouth Station is 14 minutes by foot and Pokesdown for Boscombe Station is 29 minutes. 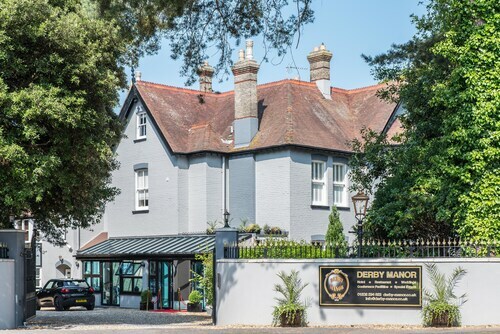 Located in Bournemouth City Centre, this hotel is within a 15-minute walk of Russell-Cotes Art Gallery and Museum, Bournemouth Beach and Bournemouth International Centre. Bournemouth Pavillion Theatre and Bournemouth Lower Gardens are also within 15 minutes. Bournemouth Station is 16 minutes by foot. 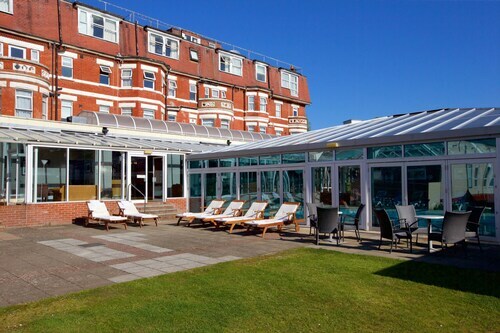 Situated near the beach, this luxury hotel is within a 15-minute walk of Bournemouth Natural Science Society and Bournemouth Beach. O2 Academy Bournemouth and Bournemouth Pavillion Theatre are also within 1 mile (2 km). Bournemouth Station is 12 minutes by foot. 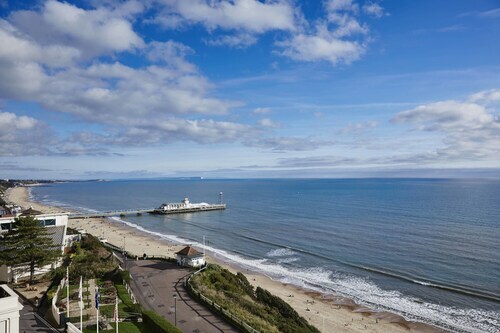 Located in Bournemouth City Centre, this luxury hotel is within a 15-minute walk of Bournemouth Beach, Bournemouth International Centre and Bournemouth Lower Gardens. Bournemouth Pavillion Theatre and Bournemouth University are also within 3 miles (5 km). 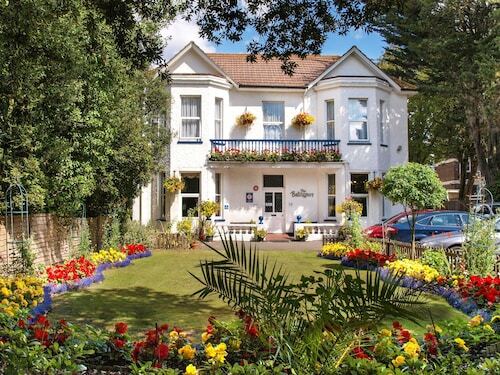 Situated near the beach, this luxury guesthouse is within a 15-minute walk of Bournemouth Natural Science Society, Bournemouth Beach and O2 Academy Bournemouth. Bournemouth Pavillion Theatre and Bournemouth Lower Gardens are also within 1 mile (2 km). Bournemouth Station is 15 minutes by foot and Pokesdown for Boscombe Station is 28 minutes. 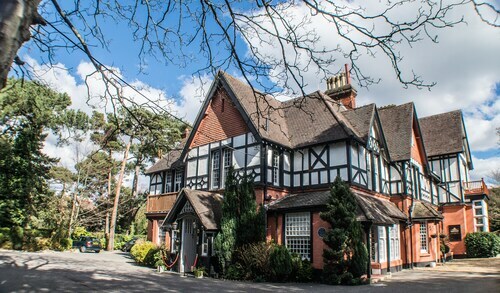 Situated near the airport, this boutique hotel is within a 5-minute walk of Knyveton Gardens and Bournemouth Natural Science Society. Bournemouth Beach and Coastal Activity Park are also within 15 minutes. Bournemouth Station is 12 minutes by foot. So, you're considering a trip to Bournemouth? If you want to find accommodation that's located within a stone's throw of the sights, you can enter your holiday dates and then use the filters beside your hotel search results to find a spot to stay near the area's attractions such as Bournemouth International Centre and Bournemouth Beach. 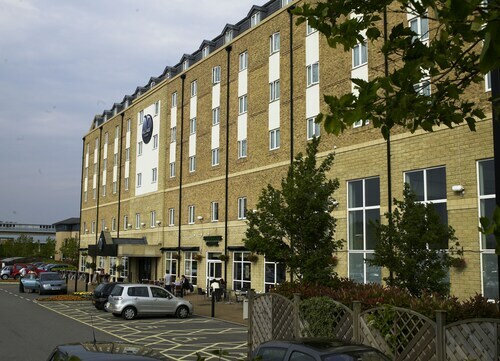 You can choose among 156 Bournemouth hotels and accommodation options to find a place to stay. When you're deciding where you'd like to stay in Bournemouth, you'll be able to quickly and easily search ebookers for hotels offering services such as high-speed Internet, a swimming pool or free airport transport. 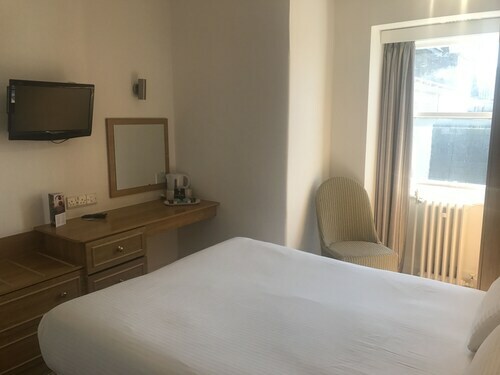 You can use the filters to narrow down your search for accommodation, so you get the services that are important to you, such as an in-room kitchen or air conditioning. When making plans for your holiday in Bournemouth, you can also use ebookers to find a convenient flight to Bournemouth (BOH-Bournemouth Intl.) Airport. You can narrow down your search by number of stops, airline or departure time to find the one that'll work best for you. When is the Best Time to Explore Bournemouth? If you're wondering when is the best time of year to travel to Bournemouth, you might find this info about seasonal weather useful when you are planning your trip. The warmest months in Bournemouth are typically August and July, whereas the coldest months are usually February and January. The months with the most rain are August and September, whereas April and December have the least. From January to March, the average daytime temperature is 11°C and at night it is 3°C. Seasonal average rainfall is 6 mm. If you visit between April and June, you can expect an average temp of 18°C during the day and 5°C at night. Average rainfall during this season is 5 mm. The daytime average temp from July to September is 19°C and the nighttime average is 11°C. Average precipitation for this season is 10 mm. Between October and December, the average temp during the day is 16°C and 4°C at night. Seasonal average rain is 6 mm. The annual rainfall average in Bournemouth is 27 mm. During my stay of two days in room 204 at this property, I found the bed was so uncomfortable to sleep on . The heaters made the room boiling and I couldn’t reduce the temperature until I slept with windows open . Water in the shower is almost absent as it’s too slow to have a shower with that . Very disappointing place unfortunately. Make sure that you get the code for the barrier before trying to get out of the car park!! The hotel bar and Brasserie Blanc restaurant were really lovely. This is an absolutely gorgeous hotel with seaside themed decor at every turn. The rooms are spacious wiry nice comfy beds. We had to change rooms because of an electrical fault but the staff sorted it out quickly and efficiently. This is a Very comfortable and stylish hotel close to everythinh on offer in Bournemouth. Breakfast was yummy and the pool was fab. A great place for a little trip to Bournemouth and i will definitely stay here again if im ever back in town . I booked an ocean view room. I was very pleased as the room had lovely big windows. Nice average priced hotel. Had an adjoining room, not so nice could hear the room next door, and something I didn’t want to hear whilst staying with my 18 year old daughter!!!! Staff were very friendly. Room was warm and comfortable. Hotel location is excellent. A few points - firstly the car park fees should be added to the website, the room decor should be updated. The lighting in my room was controlled by 2 switches by the door Inc the bathroom light. Perhaps get a light switch by the bathroom door and a switch near the bed to turn the main light off at night. My light above the mirror didn't work. All in all I would still return to this hotel for future Bournemouth visits.